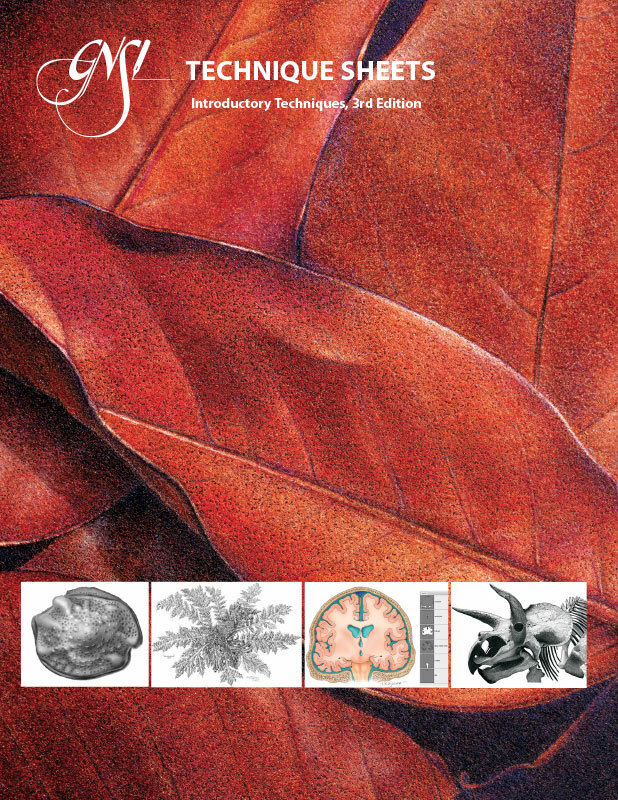 GNSI has produced, in digital and print format, two brochure-style publications that contribute to the career and technique expertise of science illustrators. They are the GNSI Technique Sheets and the Careers in Scientific Illustration booklet. The techniques presented in this 32-page publication form the basis of 90% of the traditional techniques used for decades by prominent science illustrators. While some techniques, materials, and methods of creating scientific illustration have changed substantially in the ensuing years, the fundamental information for non-digital art creation remains the same or can be adapted to more modern approaches. 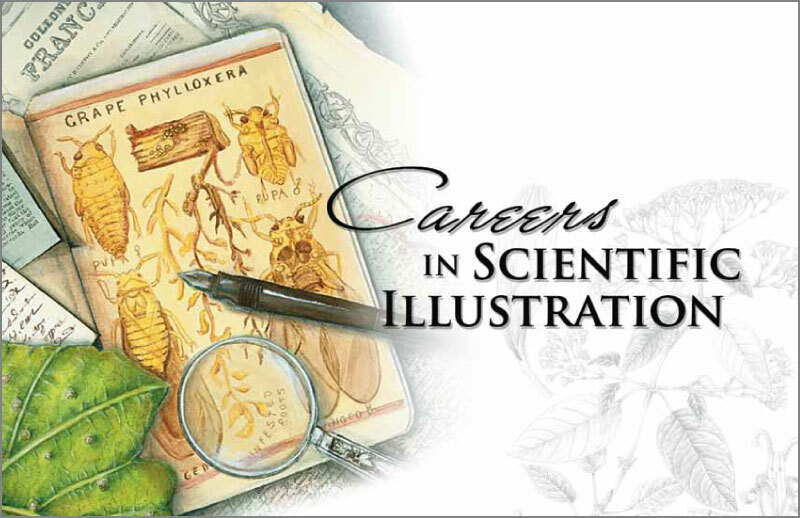 This 12-page booklet, beautifully designed and illustrated, discusses the profession of a science illustrator and its requirements. Science illustrators work in the service of science, teaching, informing, and fostering understanding of our world. They use a range of visual techniques to communicate science in education, research, public relations, and marketing.